Who is the child in this photo? Without seeing a face, I cannot tell if it is Zak. The child is not Zak. 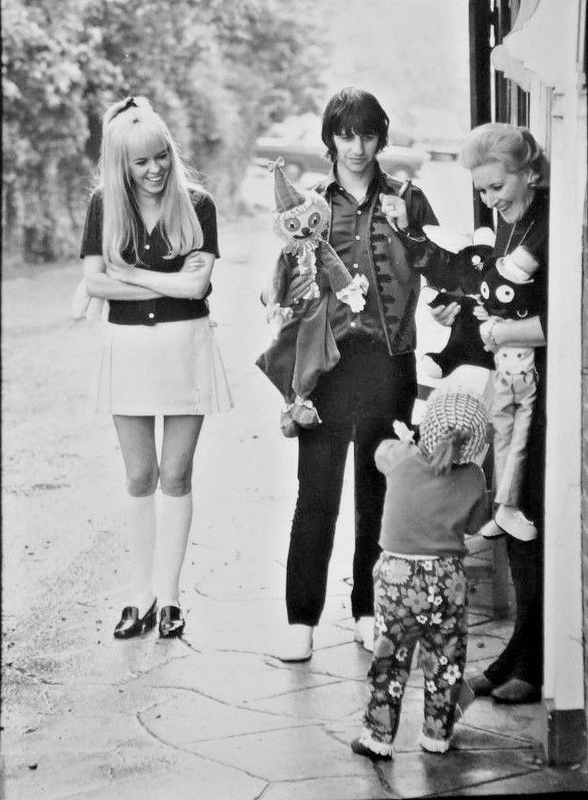 Henry Grossman was photographing Ringo, Maureen and Mia Farrow in Church Square where they'd all had a meal together. Photos show them posing and socializing with some of the locals and Grossman didn't know their names. May 1968. Thank you once again Lynn. The child looked to be the size of a 2 1/2 year old, but without seeing a face, I couldn't say if it was or wasn't Zak. 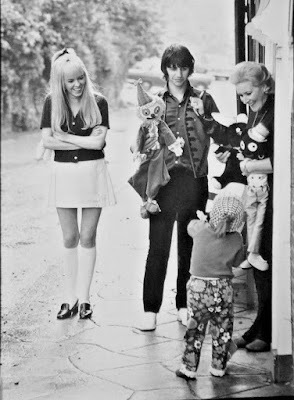 I love the look on Maureen's face in this photo towards the child and Ringo with the puppet. Lovely photo of this couple.